The high school is currently hosting a supply drive to support the veterans home in Marshalltown through Feb. 16 in honor of the fifth anniversary of the death of CFHS graduate Travis Vaughn. Vaughn graduated from Cedar Falls High School in 1999. In 2005, he married Heather Reinertson, who had their three-year-old son named Taylin. February 2007, Vaughn died in a Chinook plane crash in Afghanistan. The crash, caused by engine problems, killed eight special ops personnel; seven Army soldiers, including Army specialist Vaughn; and one Air Force member. Over half of those on the plane, 14 people, survived. Vaughn was 26 years old. Secretary Jane Carter said that participating in this drive goes beyond remembering Travis Vaughn. “I think [it’s important] not only because Travis was an alumni but so we support our troops and veterans who support our country. It’s a small thing to do for what they do for us,” Carter said. The drive is sponsered by the nonprofit organization, Kandie’s Kidz, founded by Vaughn’s stepmother, Kandie Vaughn. Kandie’s Kidz collects items and money for veterans, soldiers and the families of the deployed that VA Affairs cannot help. As well as money, those wishing to help can donate new, unused personal and food items in their original packaging to the Veteran’s home in Marshalltown through this drive. Suggested items include combs, non-alcoholic mouthwash, playing cards and soap. 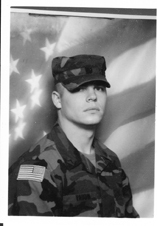 For further information regarding Travis Vaughn and helping Iowa veterans, see travisvaughn.webs.com.